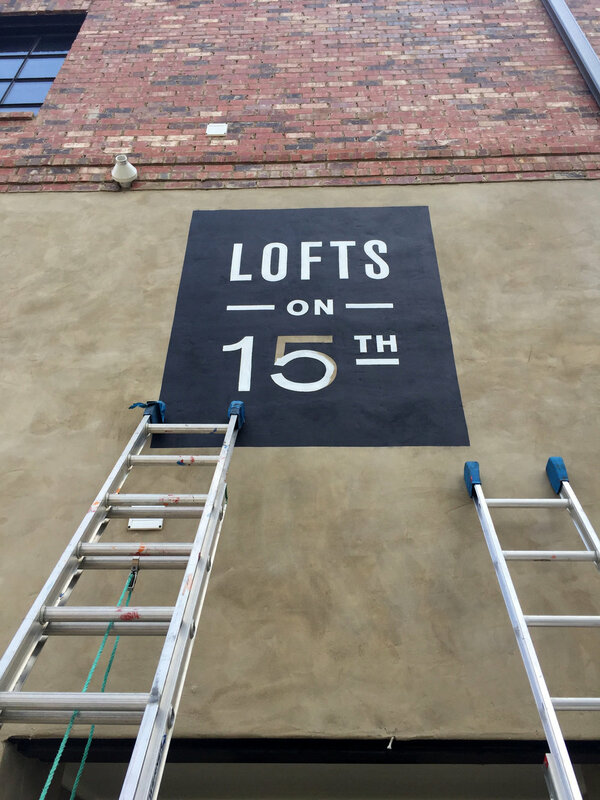 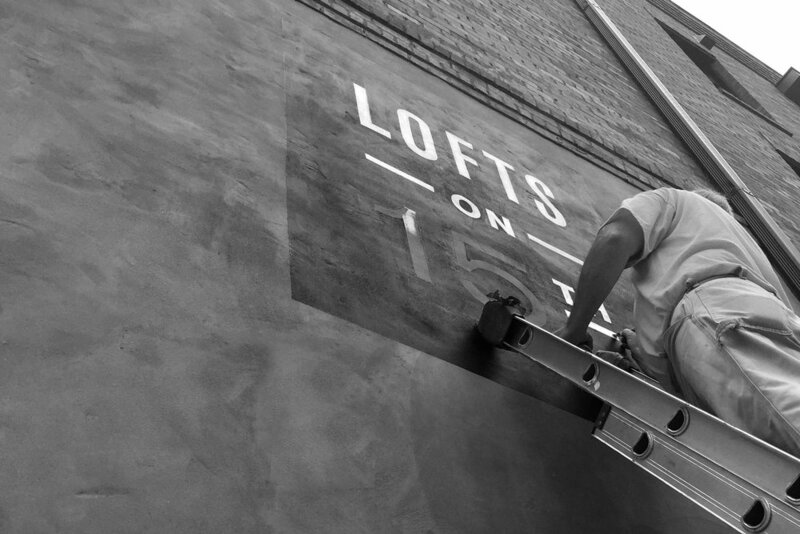 Our Lofts on 15th development received a special signage treatment as part of the exterior scheme renovation. 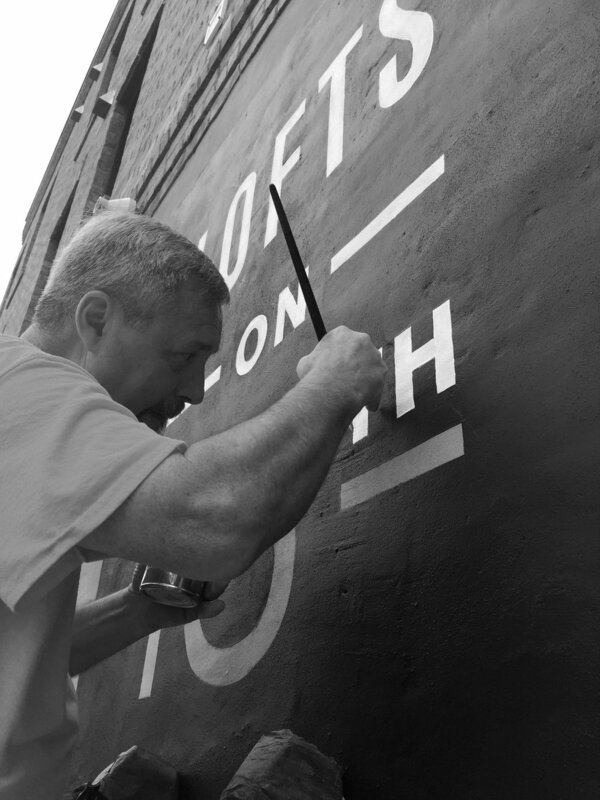 Local sign painting company Skidmore Signs paints each sign by hand the old fashioned way. 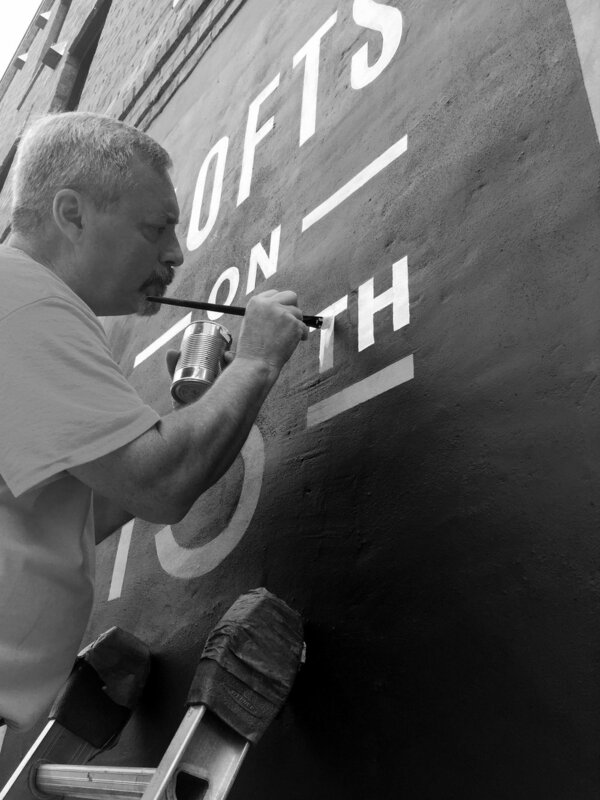 Sometimes the old fashioned way is still the best, it creates an authentic feel.